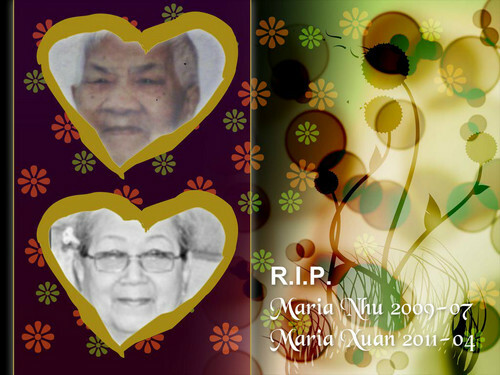 rip maria nhu 2009 07 & maria xuan 2011 04. . HD Wallpaper and background images in the Gambar cantik club. This Gambar cantik wallpaper might contain tanda, poster, teks, papan hitam, and chalkboard.